I enjoy the routine of getting my day going with early morning yoga practice. It clears the cobwebs and sets me up for the day. 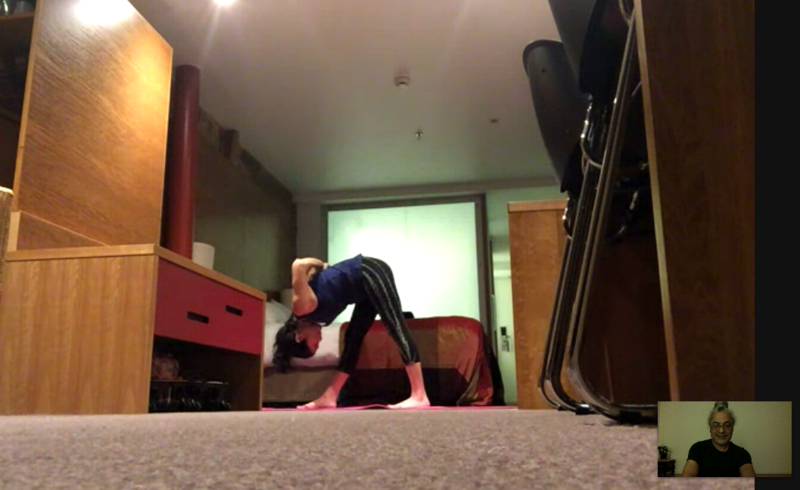 I find being able to tune in for my yoga session particularly helpful when I am working interstate, which is often when I am faced with my most stressful challenges. Weekly, Yatren asks us to focus on an aspect of practice – an aspect of the breath, a part of the body etc. I often find myself tuning in to that during the day. Brings a moment of quiet diversion. 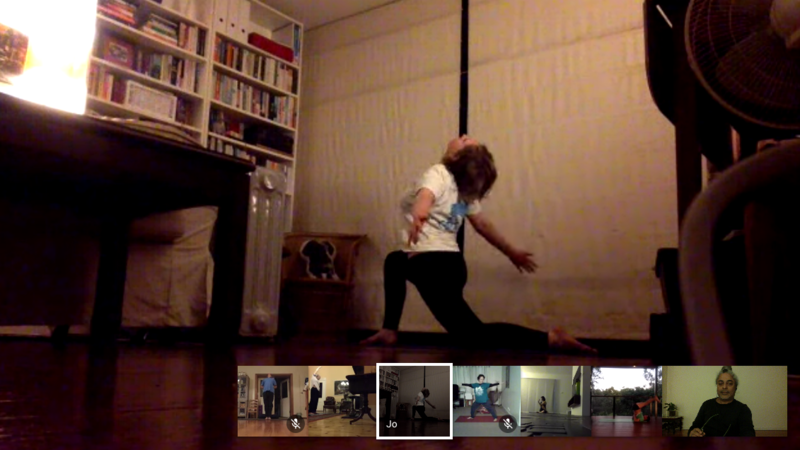 I started yoga online with Yatren because I found class settings not suitable for my needs. When I heard that Yatren was offering online classes I was intrigued – his classes were slightly more expensive than a local class (although much more personalised), and it would mean committing to a minimum of two classes a week which was more than I had planned on doing! I knew that Yatren was an excellent teacher so I decided to try it for a month and see if it works for me. 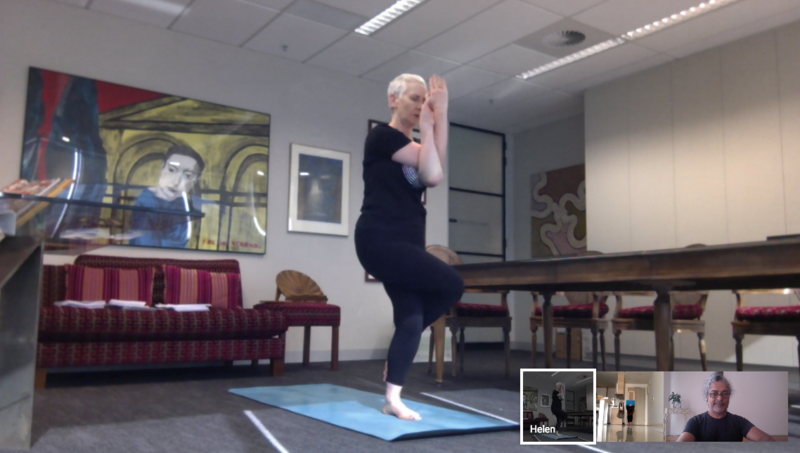 That was nearly two years ago – I think I’ve only ever missed one class in all that time – I just love it and I never want to do yoga any other way! Yatren was my first yoga teacher – that was over ten years ago now! I started working from home in 2017 - I didn't want to waste time in the car! A friend suggested Yatren. He was sensitive to my health issues and modified poses to my capability. The classes became a way to connect with Yatren and others, but it was about my own practice. Over time, my approach to stresses and disappointments in my work changed - I felt more like I was choosing my reaction. My family started to notice that I was different. It's more than 'just' yoga, it's a life recalibration. Yatren is very professional and precise. He teaches to meet everyone’s body and circumstances. I like his approach which emphasizes the importance of both body and mind. I have been his student over 14 years. He has magical smile which makes other people smile. Importantly, the classes are just as progressive as at a studio.